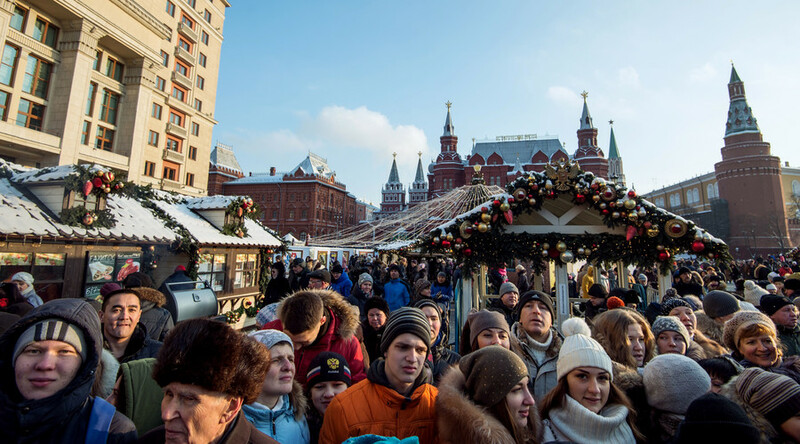 According to a public opinion poll, about 62 percent of Russians see the situation in their country as “normal,” but 52 percent expect the national economy to sink further in the future. On Tuesday, Russian state-owned polling center VTsIOM released the results of research into the so-called “index of social moods” – the general perception of the situation in the country by ordinary people. The better the population’s opinion about the situation, the higher the index. According to VTsIOM, it was decreasing throughout 2015 and hit its lowest level in December. Only 1 percent of Russians described the situation in the country as “excellent,” but another 12 percent said that it was “good.” Sixteen percent said that the situation was definitely bad, and 6 percent more estimated it as “absolutely terrible.” Three percent claimed that the question was too difficult to answer. The majority of respondents – 62 percent – said that they saw the current situation in Russia as “normal” – up from about 50 percent in January 2015. However, when researchers asked the public about their views on the future of the nation, the share of optimists turned out to be the lowest over the past few years. Fifty-two percent of respondents said that they expected the general situation to deteriorate. Nineteen percent of Russians answered that in their opinion the hardest period of the current crisis has passed, while 22 percent said that the hardest times are currently being experienced and 7 percent declined to answer. Despite the fact that the majority of Russians acknowledge the current hardships, and are rather pessimistic about the future, the approval rating of President Vladimir Putin hit an all-time high of 89.9 percent in October last year. VTsIOM pollsters connected the surge in the Russian leader’s popularity with the successful anti-terrorist operation in Syria. In late June 2015, independent polling agency the Levada Center published the results of its own research, which said that the share of Russians who are happy with Vladimir Putin’s work as president had reached 89 percent. Sixty-four percent think the current policies of the Russian authorities are correct – also the highest in history. The proportion of Russians who expressed dissatisfaction with Putin’s work was 10 percent.